To access the following forms, please click on the appropriate link. You must have Adobe® Reader® to view some of these forms. Use this form if you will be using PAR products in an experiential setting (i.e., internship, practicum, etc. ), taking place outside of a university/college course. Use this form if you will be using PAR products in an official university/college course. Use this form if you are a graduate student applying for an educational discount. Use this form if you need HIPAA documentation. Use this form if you want to place an order by fax or mail. Use this form to request permission to use PAR proprietary material. If you choose not to register online, please mail or fax this form to PAR. Use this form if you want to place an order by fax or mail with the item descriptions filled out electronically. 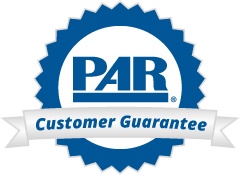 Please review for PAR software licensing information.